PLEASE SCROLL TO SEE OUR LATEST VIDEOS ! 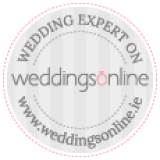 With over 15 years experience in the business of making Brides and Grooms very happy on their very special day , we feel we are the best choice for you, your guest’s and family. We here at Showtime believe it’s all about YOU! From our first consultation until Showtime, we are here to listen to what YOU want what YOU need and what YOU expect from your wedding entertainment. We love what we do, play fully live and guarantee to play all the latest and best floor fillers suiting ALL of your guests tastes from your grandparents to your toddlers. Don’t listen to what we say check out our testimonials, they speak for themselves! We can also offer church music and pre dinner music welcoming all your guest to the venue. We tailor our skills as musicians to mold a fantastic show specifically to suit your musical tastes and we will even learn your favorite song for your first dance as a tribute to both of you. Please take the time to check out our videos, music tracks or why not pop down and see us live at our next showcase gig posted regularly on our site. We look forward to meeting you and becoming YOUR wedding band of choice. Regards Showtime Team.